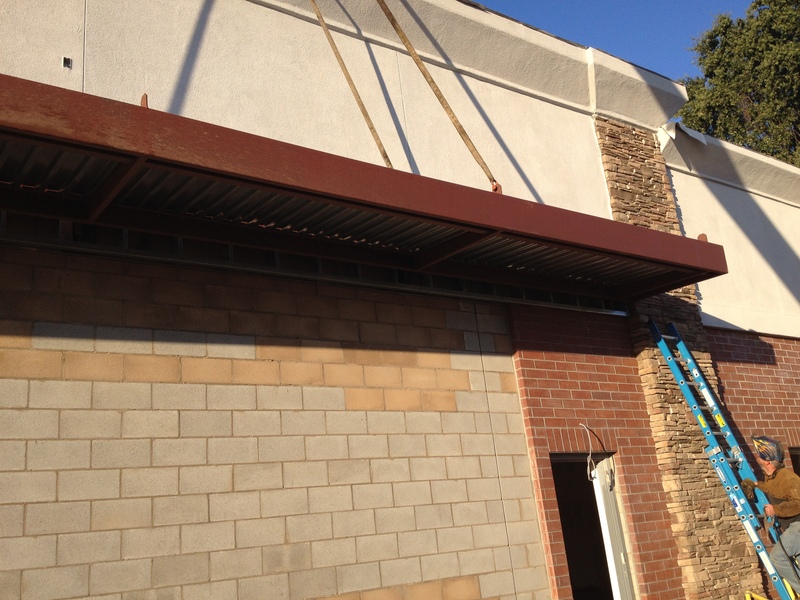 Structural Steel Erecting in Sacramento | EAGLE WELDING SERVICES INC. Some of you may guess the small building we are working on. 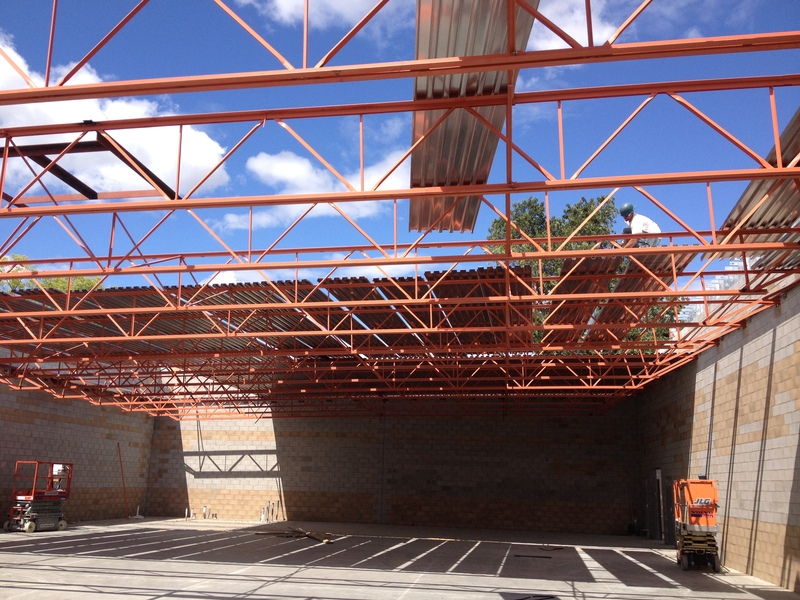 I’ll give you a hint – you can see the color of the joist used for this auto parts store. Dan and Karl shook the deck out and tacked down in one day. We came back about 1-1/2 months after we finished the deck to install these two awnings.